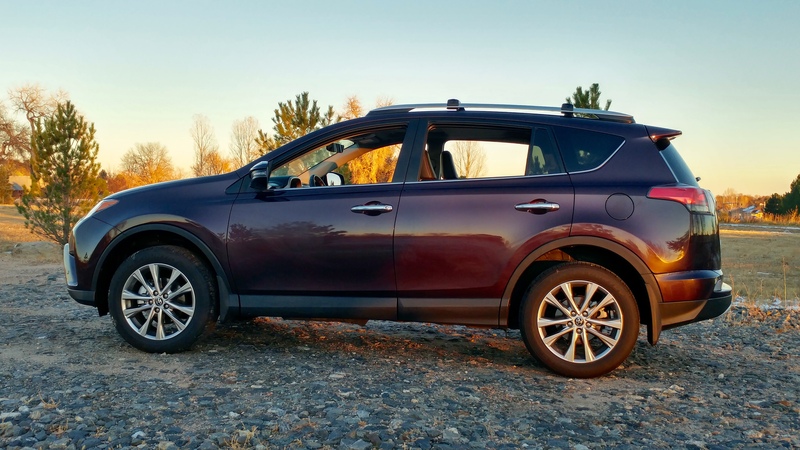 My latest test car from the Rocky Mountain Redline people was a 2016 Toyota RAV4 Limited AWD SUV that was painted Black Currant metallic and featured a black Softex (leather-like) five passenger interior. The RAV4 is classified as a compact SUV, and is currently in its fourth generation of production, having been sold in America since 1996. My test car carried an M.S.R.P. of $37,365.00, including freight and options, and was the Limited all-wheel drive model. The RAV4 can be purchased with front-wheel drive, although part of its name, RAV4, denotes four-wheel drive. RAV stands for recreational activity vehicle, by the way, and it’s a big seller – 30,000 units per month on several occasions. 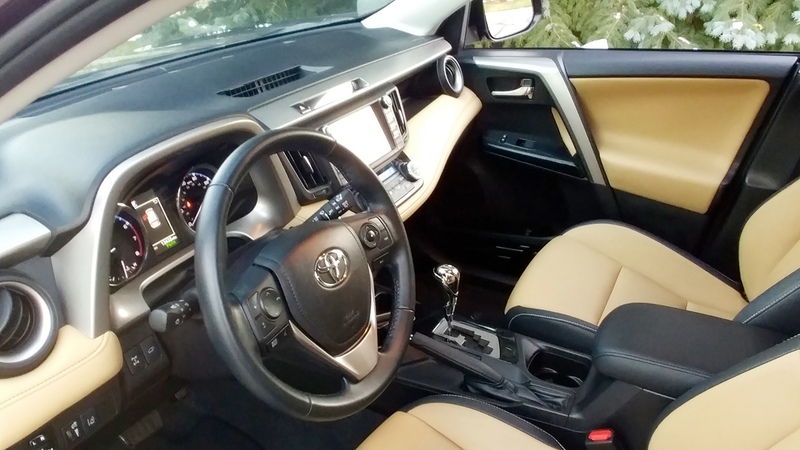 Options on the RAV4 included a technology package for $1,435.00 and a number of items with the largest in cost being a remote starter for $499.00. 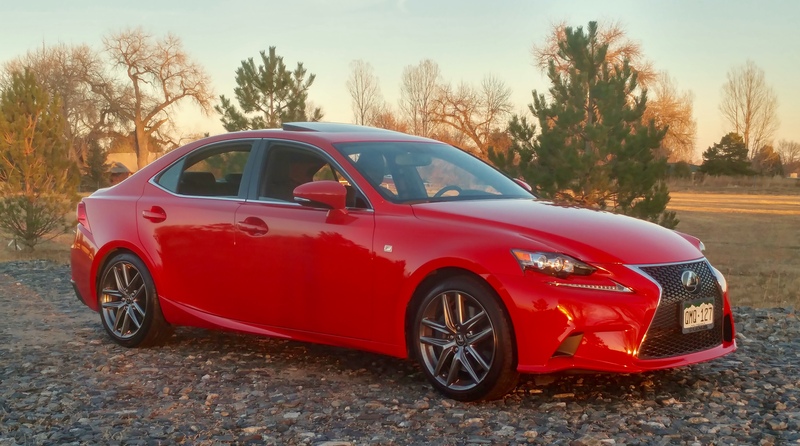 The Limited had standard items such as proximity keyless operation with pushbutton start, power liftgate, moon roof, remote start, backup camera, twin heated power buckets, Bluetooth/USB connections, roof rails, and tilt/telescope/leather steering wheel. The technology items were satellite radio, 11-speaker JBL stereo, and a navigation system. Power for the RAV4 is supplied by a 2.5 liter, four-cylinder DOHC engine (176 hp/172 lb. ft.) coupled with a six-speed automatic transmission. Zero to 60 mph acceleration time is reportedly 8.4 seconds, and fuel economy ratings are 22 city/29 highway, 25 overall. Weight of the RAV4 is 3,425 lbs., wheelbase is 104.7”, overall length is 179.9”, width is 72.6”, height is 65.4”, and the fuel tank holds 15.9 gallons. Ruth and I took the Toyota to Denver twice, and in typical Toyota fashion, the car almost drove itself. It rides, guides and passes other vehicles in OK fashion, and holds five adults comfortably. With the back seat folded down, the cargo capacity is 73.6 cubic feet. The RAV-4 is a treat to test, probably would be the same to own, and I give it a “thumbs up” for my week in its company. The Toyota 4Runner, brought out 32 years ago as basically a compact pickup/topper, is now in its fifth generation configuration and has morphed into a brawny mid-sized SUV. 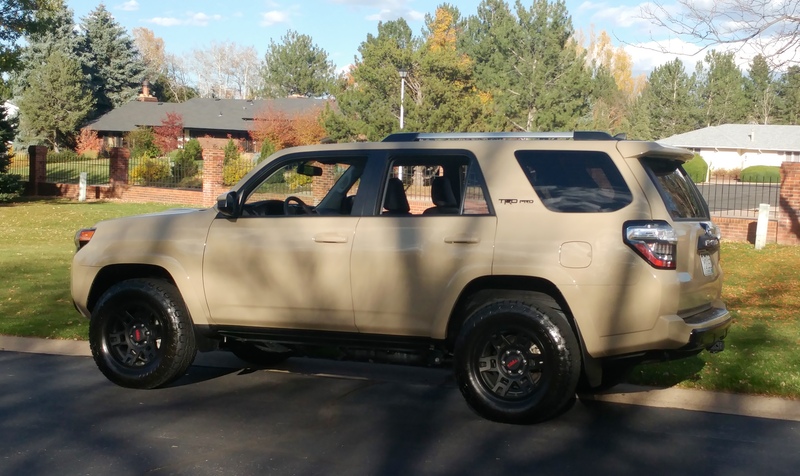 This last week I was assigned to a 2016 4×4 TRD Pro V6 4Runner that arrived at my place sporting Quicksand (tan) paint with a black leatherette interior. Toyota, U.S.A. was formed in our country on October 31st, 1957, and globally the company ranks 10th in the world in revenue. Total global sales of their vehicles has tripled to 10.15 million since the 4Runner introduction in 1984, and the vehicle maintains its body-on-frame construction and will for the foreseeable future. Such construction results in a quieter, heavier machine – traits that were evident to me during the week-long test. The 4Runner M.S.R.P. totaled $42,800.00, including freight, and the only option was a sliding rear cargo deck ($350.00). 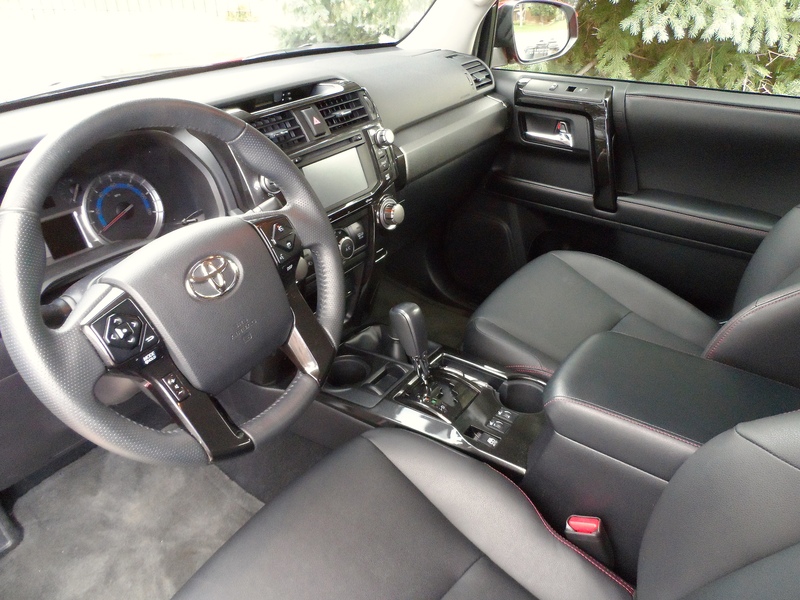 The TRD Pro V6 4Runner was equipped with power windows/mirrors/windows/locks as well as keyless entry. SofTex-trimmed seats existed throughout the five-passenger car and the front buckets were heated. Of course the 40/20/40 back seat folds down, availing the two remaining occupants of the car almost 90 cubic feet of cargo space (47.2 cubic feet with the second row seating erect). The rear tailgate needs handling by human hands, but the rear glass opens by electric motor. Hence, the rear window wiper is concealed above the glass in the deflector. I liked the arrangements at the rear of the 4Runner. The stereo in the Toyota was a 8-speaker system, USB and Ipod connections were on hand, and a backup camera was installed. The only gadgets that were missing were lane departure warning, adaptive cruise control, and blind spot monitor. Ruth and I found the buckets to be supportive on our trip to Denver and the ride (coil springs at every corner) and guidance were suitable. Horsepower of the 4Runner is rated at 270, and is supplied by a 4 liter V-6 with 278 lb.-ft. of torque. 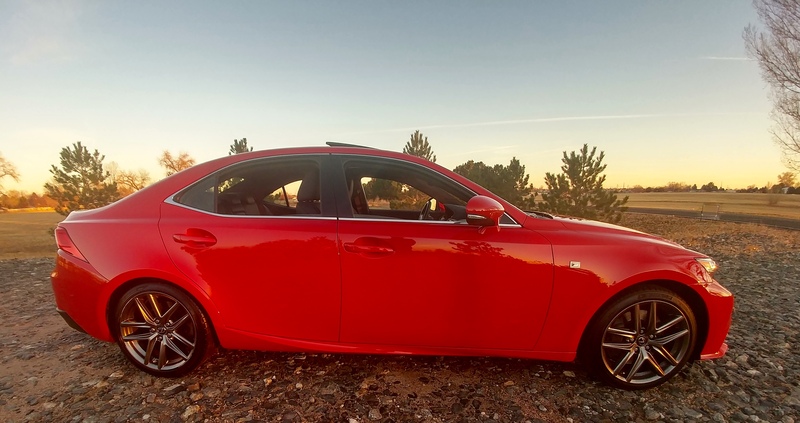 The four-wheel drive vehicle has a five speed automatic transmission and performance was pleasing. My fuel mileage ended up just over 21 miles-per-gallon, and EPA ratings were 17 city and 21 highway – 18 overall. The fuel tank holds 23 gallons. My family thought the 4Runner looked large, and as mentioned earlier the size has been increased over time. Styling involves a bold design, and it grew on me as the week went by, presenting somewhat of a military look. I also liked the way the lighting bulged from the corners. 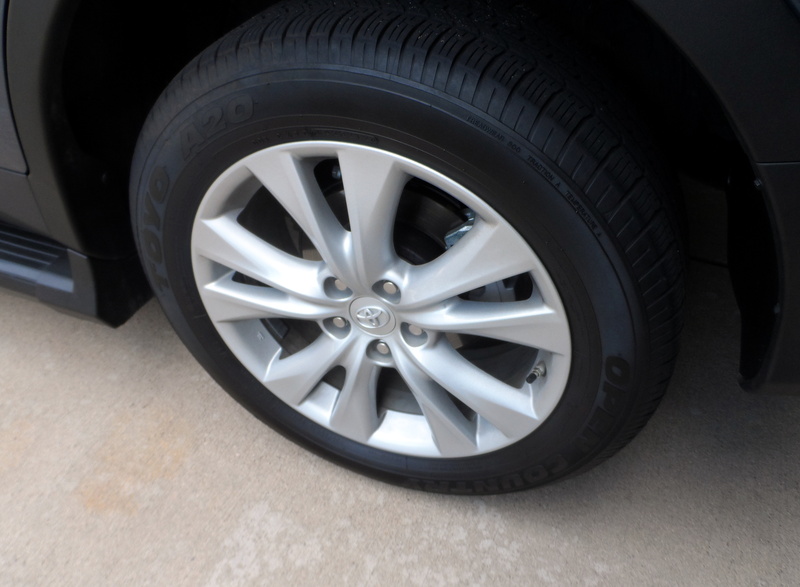 Wheels were black alloys fitted with P265/70R17 all-season radials. Personally, the week with the 4Runner resulted in a pleasant surprise, and I see no reason why an SUV shopper would avoid the Toyota dealer and the 4Runners located on their lot.